The Inka Marka sound is one of Ancient rhythms and Inka Mysticism. 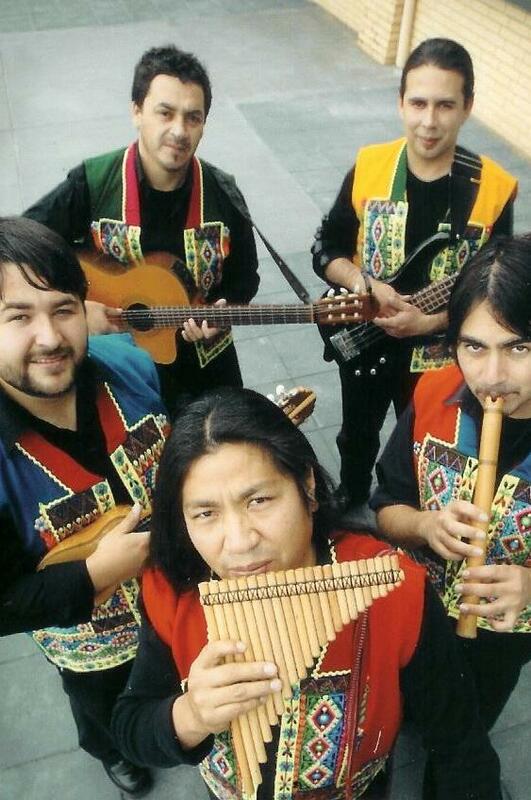 Pan flutes dance with the vibrant charango and wistful quena anchored by the guitar, bass violin and goatskin drum. festivals and cultural and corporate functions around Australia and the world. to include six full time members committed to bringing their love of traditional Andean music to Australia and the world. With seven albums to their name, including the ARIA nominated Auki Auki and performances from Port Fairy to Brunei, from Singapore to Texas, Inka Marka are truly world class musicians. Inka Marka combines traditional Andean costumes, dance, musical performances and background information to deliver a complete dynamic and interactive educational package. With two music teachers in the group, Inka Marka can get technical for the senior students or just entertaining for the little ones whilst still imparting a smattering of history, geography, and general social studies information within the show. Inka Marka can also perform for tertiary level students as well as public performances for adults and families.